We’ve witnessed this fear play out in fascinating ways throughout history. NYC Mayor Frederic LaGuardia famously smashed a pinball machine with a sledgehammer. Frederic Wertham burned comic books. Tipper Gore put caution stickers on Prince albums. Grand Theft Auto left Jack Thompson in a veritable tizzy. Now, there is a new interloper looking to invade your living room, and it’s called virtual reality (VR for short). Grand View Research predicts that the VR gaming market will be worth north of $45 billion dollars by the year 2025, so it’s not just a fad that will quickly fizzle out at this stage of the game. A regular VR set-up can be a bit daunting at first blush. It comes with unwieldy, space-age looking headsets and controllers. It has odd sounding names like Oculus Go, Vive, PSVR and Cardboard. The games that can be played in VR offer an unheard of level of immersion and interactivity -- some more than others depending on which system you use. So, is this cutting edge technology something that parents should be wary of? Virtual reality has been around in some form or other since the mid ‘80s. When a person using VR looks around, their sight acclimates the same way it would if they were looking (or moving) in the real world. A superb VR experience has presence, aka technology and content that fools the brain into thinking it is somewhere it’s not. When you recoil in fright because a nasty beast is close by, or you try to duck under a fast approaching tree branch, that’s VR’s presence getting in your head. Since the early ‘80s, popular culture has shown us a good many implementations of VR or VR-like tech beginning with Disney’s Tron in 1982. Star Trek: The Next Generation introduced viewers to the joys of the holodeck in 1987; The Lawnmower Man (loosely based on a Stephen King short story) used state-of-the-art special effects (in 1992) to depict the virtual world that Pierce Brosnan and Jeff Fahey inhabited; and this year’s Ready Player One (based on the geektastic novel by Ernest Cline) revealed a virtual gaming paradise called the Oasis where almost anything is possible…even a knock-down-drag-‘em-out battle between The Iron Giant and Mechagodzilla. As a long-standing gaming parent, I had some minor concerns when I purchased PlayStation VR a month or so ago. My 13-year-old daughter had been itching to play Job Simulator, a parody of the day-to-day grind, after watching a video about it on YouTube. We fired the VR unit up, and soon, it was clear that the only concern I immediately had was space -- you need a good amount of actual space to play a VR game. Looking and exploring everywhere in most VR experiences is paramount, and while wearing a VR headset, it’s difficult to see real world objects (e.g. entertainment centers, tables, ottomans, cats, dogs, etc.) that may be in your path, so make sure you clear the room as best you can to avoid tripping and falling injuries. Well, should kids be allowed to play with VR? Some poking around on the Sony, HTC and Oculus websites reveals a plethora of documentation in regard to rules and regulations. PlayStation VR sets the age threshold for use/play at 12; HTC's Vive doesn't indicate an age…only that it is not “designed to be used by children.” Google Cardboard has no age restrictions, but notes that it should not be used without adult supervision. Facebook's Oculus Rift has an infographic illustrating product safety and also has an online safety center with videos that demonstrate some possible safety hazards and issues. Psychologist, mother and President of Hit Point Studios, Ariella Lehrer, Ph.D. echoes the sentiments laid out by the manufacturers while adding an interesting point or two of her own: “For a child under 14, I would wait for another generation or two of hardware before considering purchasing an immersive HMD (head mounted display) to play VR games. It is inevitable that they will become cheaper and better. That also gives universities a chance to do some much-needed research on the long-term effects on a child’s developing eyesight. 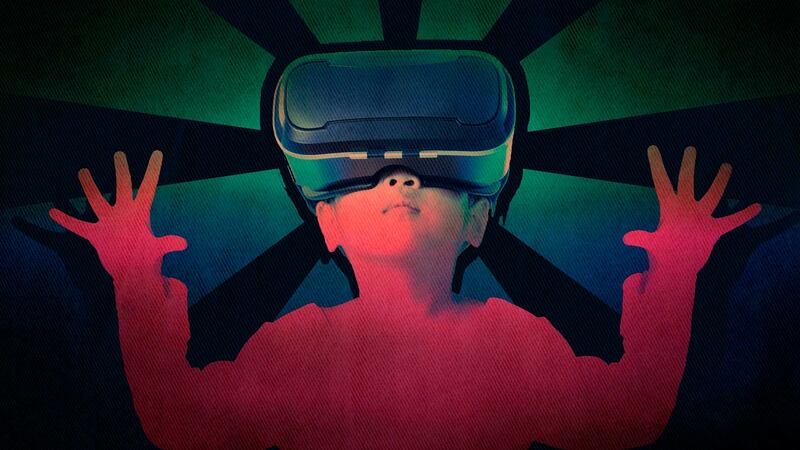 What can actually happen to my kids if they play VR games? Highlighting positive aspects of virtual reality, Shum points to recent studies that demonstrate “how immersion and distraction can be used for good” in terms of coping with pain and crippling diseases. Most times, it really is just as simple as that.